If we don’t improve your Adwords account within 30 days, we provide a full refund PLUS an additional 10%. Working with Google Adwords since 2001. 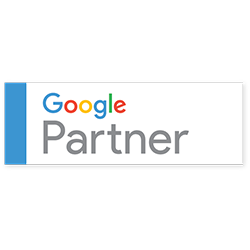 You always have complete Access & Control of your Google Adwords account. Not only do we offer a full refund if your Google Adwords account doesn’t improve in 30 days, we’ll even give you an extra 10% back. We believe that good business begins with strong client relationships and trust is of paramount importance. It is for this reason that we are the only PPC Marketing Company to offer a 110% guarantee to all of our clients. For over 15 years, we have continued to perfect our approach to PPC Marketing and this offer exemplifies the confidence we have in our service. Join us today, risk free, and see the difference for yourself. Unlike other online marketing companies, you will be working with a dedicated account manager with 15+ years of experience. We focus on a Top Down Paid Search Strategy. Rather than focusing only on generating leads or, finding the cheapest leads, we focus first on the value of our client’s customers. Leads have very little value if they don’t result in customers and our experience has shown that every lead has a different inherent intent and likelihood to convert. Our clients success is our first priority and this comprehensive Top Down PPC approach ensures that we don’t get stuck in the PPC Bubble and always focus on the big picture; making our clients money. Handpick the BEST keywords for your business and continually prune and grow the keywords with the best performance. Write eye-catching Ads that ensure the highest Click-Through-Rates and Quality Score. Design customized landing pages that have been extensively tested to achieve the highest possible conversion rates and user engagement with an emphasis on Mobile Devices. We have been dealing with WebBloom for almost 15 years now and the quality of customer service is outstanding. I would recommend WebBloom to any business. Dale Featherstone. Head of Marketing at DIVELINK Underwater Communications Ltd.